As well as being a member of the OAV, active members also get membership in the Opticians Association of America. The OAV monitors legislative issues and when necessary, lobbies with national support from OAA on Virginia Opticians’ behalf. 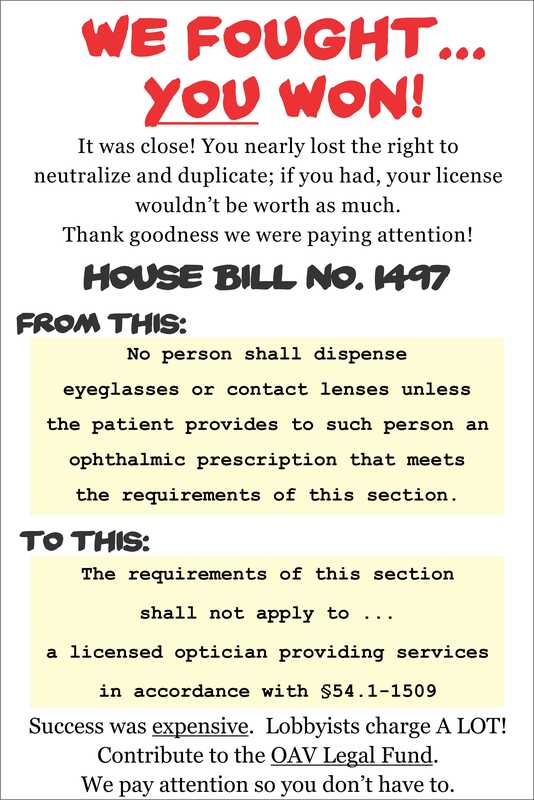 Most recently the OAV fought HB1497 which would have limited Virginia Opticians’ ability to neutralize and duplicate. Quarterly newsletters provide updates of State and National news, legislation issues and important information. Coming soon1 Get your company listed on in the directory OAV website for free—exclusive to members. Attend all OAV continuing education events at a reduced rate, taking advantage of nationally known speakers. Free classified advertising in the newsletter and on our website for equipment sales, job vacancies and other opticianry-related items. 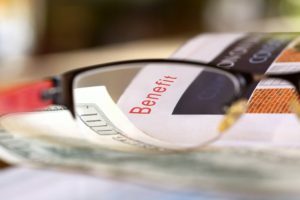 What can OAV do for you as a Virginia Licensed Optician? What can YOU as a Licensed Optician do for OAV? Stay current with education, community service and legislation – protect what you worked so hard to achieve.